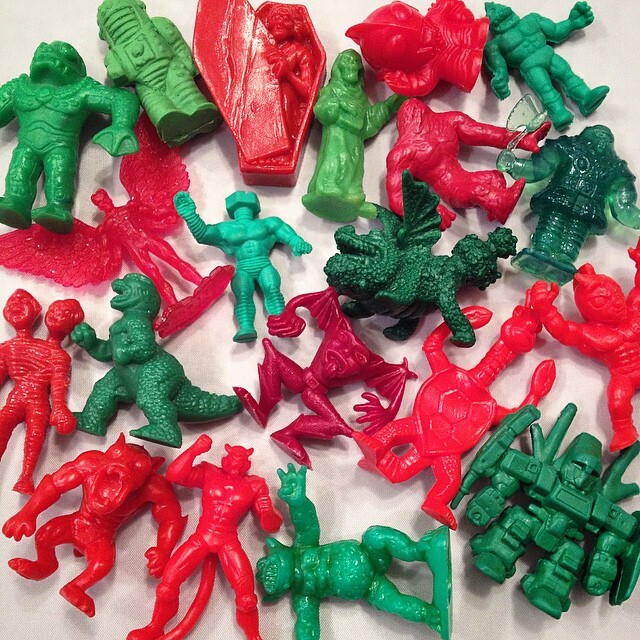 Little Weirdos: Mini figures and other monster toys: Wishing everyone a weirdo Christmas! Wishing everyone a weirdo Christmas! I hope you did as well! Hey what is that lumpy green dragon figure in this pic? I've seen one or two before and had no idea about them! It's from the How to Train Your Dragon bucket of dragons. The green robot on the bottom right, could someone please identify it for me? And also, if possible, tell me where it may be possible to find another like it? Thanks. It is capsule machine bootleg of a Japanese Heavy Metal L-Gaim keshi. They turn up in random lots from time to time.